D’Arcy probably wins a split decision here. LAST WEEK LEINSTER and Ireland legend Gordon D’Arcy announced that he will retire after the World Cup and both fans and players have been paying tribute to the centre. 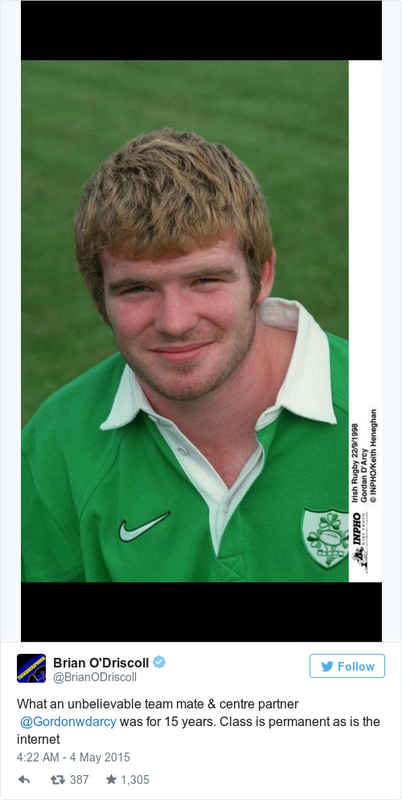 Nobody understands the value of D’Arcy better than his centre partner, Brian O’Driscoll, and his former team-mate tweeted out a great message of support, delving into his photo library to come up with this gem. It was a pretty solid dig from BOD, but given his own chequered past with regards to hairstyles, D’Arcy had ample ammunition for a comeback. The duo bring out the best in each other when it comes to slagging matches but they were also a handy combination on the rugby pitch. Email “Gordon D'Arcy and Brian O'Driscoll traded glorious hair-related burns on Twitter earlier”. 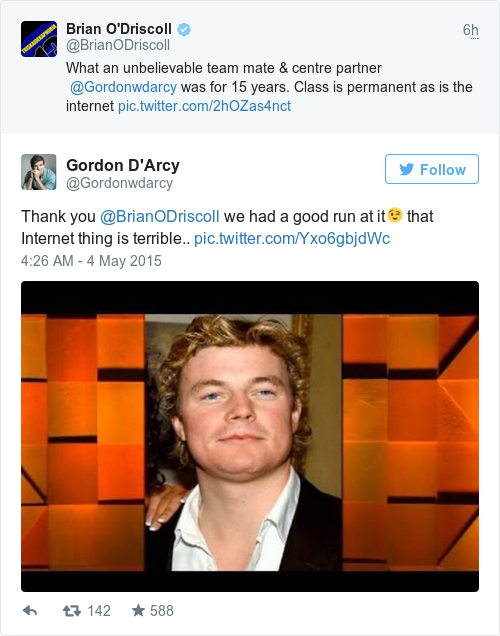 Feedback on “Gordon D'Arcy and Brian O'Driscoll traded glorious hair-related burns on Twitter earlier”.